You can help us with the costs involved in the maintenance and development of the Theatre. 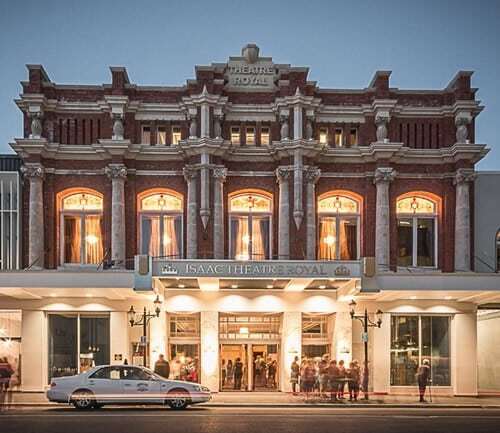 Your assistance will ensure she maintains her unique place in our arts heritage as the prominent venue for performing arts in Christchurch for another 100 years! If you have any ideas for group fundraising, suggestions for patrons or personal pledges of financial support, please contact us. Join the Royal Friends mailing list Be the first to find out what’s happening at the Isaac Theatre Royal and receive weekly e-newsletters with access to competitions, pre-sale opportunities and special offers. It’s free so sign up now. 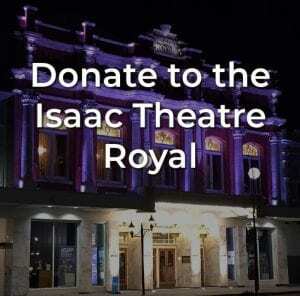 You can help with the ongoing redevelopment of the Isaac Theatre Royal by donating online (credit/debit card, online banking or cheque options available). All donations are gratefully received. The board and management of the Theatre Royal Charitable Foundation sincerely thank and acknowledge the support, through various significant grants and donations to the Isaac Theatre Royal.